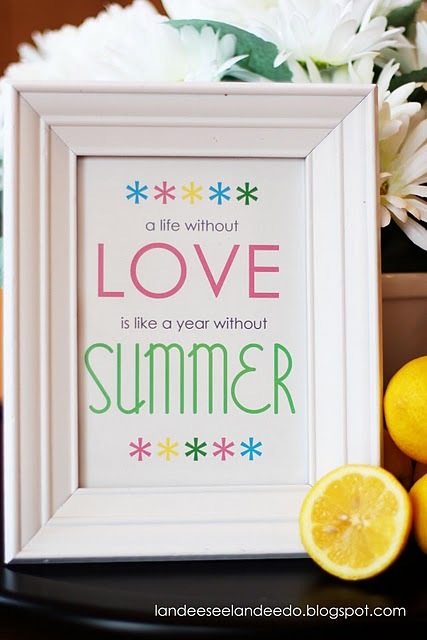 When I saw this cute printable from Landee See Landee Do I might have said AMEN! out loud, even though no one else knew what I was talking about. I think a year without summer might even be worse!!! Okay, maybe not, but close! You can get a copy of this free printable HERE. Two years ago we pretty much had a year without summer here in Chicagoland. I think the highest temp we had was in the 80s and that wasn't until August!! Unreal! This print is adorable.